Are patients dying from ineffective cardiopulmonary resuscitation? Home > Emergency Medicine > Are patients dying from ineffective cardiopulmonary resuscitation? Can you prove a patient died from ineffective CPR? Cardiac arrest is one of the most lethal medical conditions in the United States. The American Heart Association issued a consensus statement about how to improve cardiac resuscitation outcomes both inside and outside of the hospital. Less than 15% of children and adults survive. Are the dismal rates of success due to the underlying reason why the arrest occurred, or because of human performance factors? Turns out that it is a combination of both. The statement reveals the human factors that affect survivability. The American Heart Association labeled poor quality CPR as a “preventable harm” that could lead to preventable deaths. The time of day when the arrest occurs makes a difference. A patient who has a cardiac arrest between 7 AM and 11 PM has a greater than 20% chance of survival. A patient who has a cardiac arrest between 11 PM and 7 AM has only a 15% chance of survival. Fewer resources at night mean less chance of surviving. Where the patient has a cardiac arrest makes a difference too. A patient who arrests in the operating room or recovery room has a 37% chance of survival, but one who arrests at night on an unmonitored nursing unit has a 9% chance of survival. A delay in recognizing the deterioration in a patient’s condition is called failure to rescue. The risk of failure to rescue is high on the night shift when staff is stretched. I spent years teaching nurses how to perform CPR. I instructed them that even when performed properly, chest compressions provide only 10 to 30% of normal blood flow. Research shows that when rescuers compress too slowly, return of spontaneous circulation (getting a pulse back) falls from 72% to 42%. Too shallow compressions also decrease survival rates. The American Heart Association recommended several metrics or aspects of CPR performance and techniques for monitoring the performance of CPR that would lead to better outcomes. As the recommendations outlined in this article are assimilated, healthcare providers’ performance should change – eventually. Sudden cardiac arrest is a clinical outcome that does not occur often enough on certain clinical units for the staff to develop and maintain proficiency in performance. 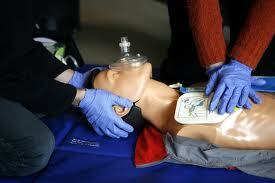 Periodic unannounced drills with simulation equipment help healthcare providers maintain their skills in CPR. You are an attorney handling a case involving a patient who had a cardiac arrest and CPR, but did not survive. Was the death due to the reason the person arrested or to ineffective CPR? How does your expert determine if there were interruptions in CPR, excessive ventilations, leaning on the chest wall between compressions or inadequate depth of compressions? The expert is trying to evaluate the events after the fact, without any ability to observe what really occurred. The short answer is that I see difficulties in establishing to a reasonable degree of medical probability that human error rather than a very sick patient resulted in the death. What do you think? Have you handled a case involving allegations of inadequate CPR?